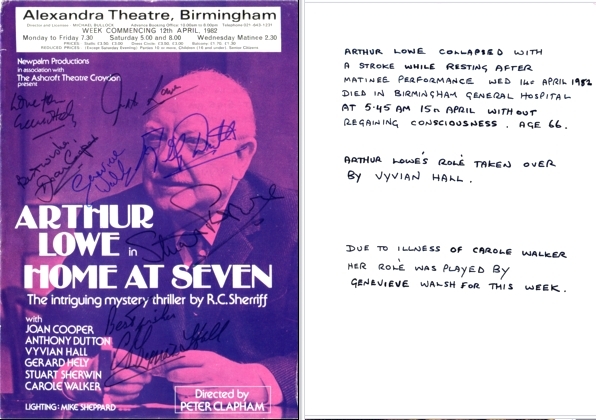 Probably the last item signed by Arthur Lowe (of Dad's Army fame), signed on Weds 14th April. He fell asleep in the changing rooms on that very day, and never regained consciousness. He died in hospital the following day. 05.45am 15th April 1982. 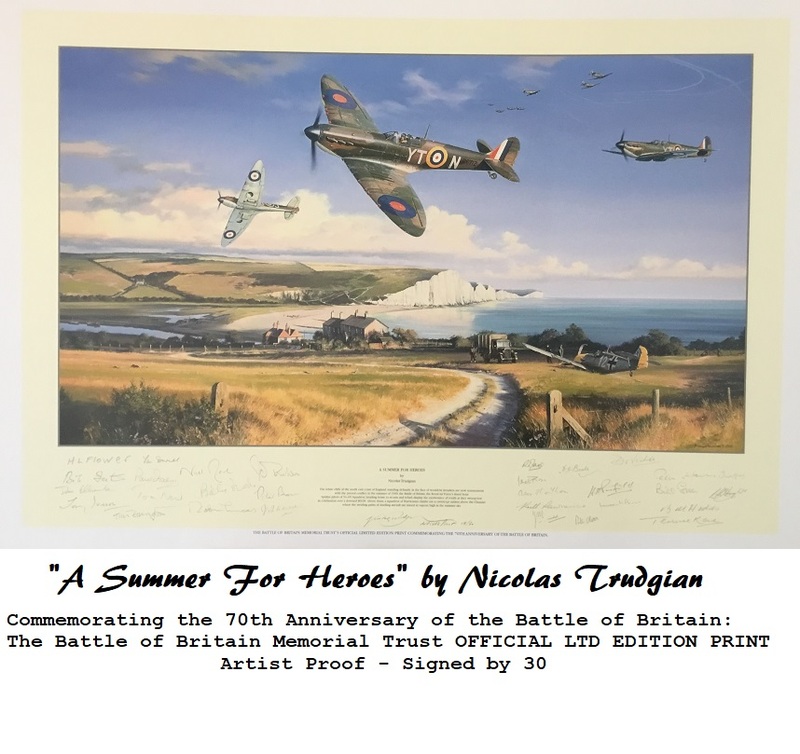 Also signed by the full cast of "Home at Seven" including Stuart Sherwin, who also starred in Dad's Army as Bill Pertwee's assistant ARP Warden.